haha - Cute! I wouldn't mind some of that graffiti being painted on my house! Soooo much better than most graffiti! 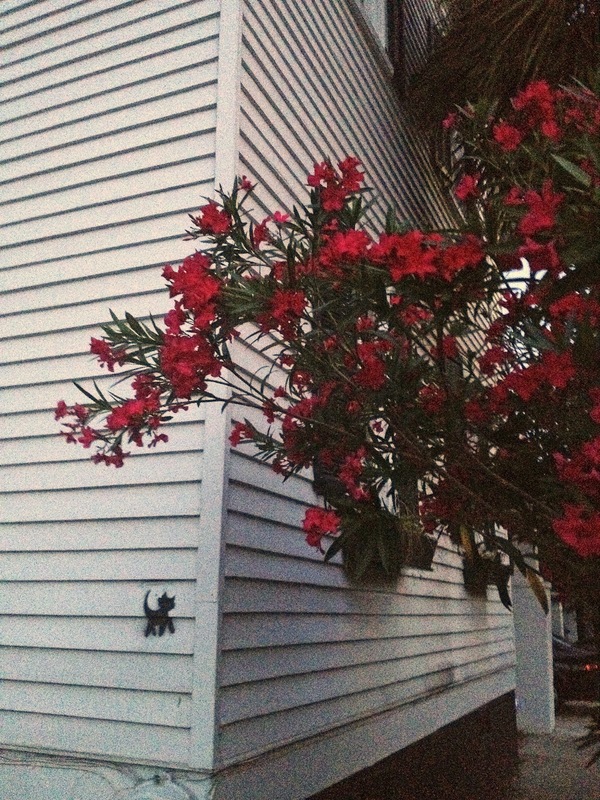 Love the oleander, too. I've been noticing how beautiful they are here. oh gosh that is cute! I wish they would come to Summerville and get my house too lol! LOVE IT! I bet it's some rebellious senior citizen who's been way too good her whole life and has decided to shake things up a bit. Her next stenciled graffiti will be a pair of stilettos and a push up bra next to her scratched out AARP card. How cute! This is something I might like to do sometime, being a cat lover and all. Plus that Oleander is totally ooh, la, la!!! I don't know if I'd be thrilled if it was my house but gosh darn that kittie is sure cute. 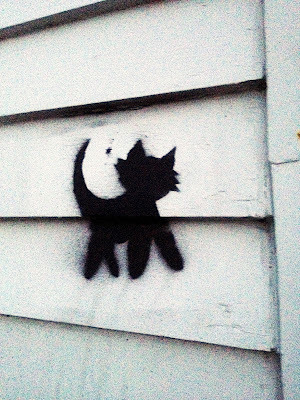 I think it is cute too, but have my suspicions who would stencil a cute kitty. Certainly not the neighborhood punk! If it were my clapboard house (mine is brick), I might just leave the little feline.